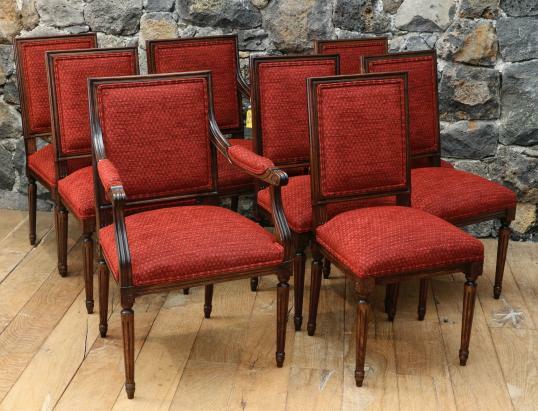 These Louis XVI style carver chairs are made by a French firm that has been making chairs for generations. These are beautifully made, stunning quality chairs. They come to us unfinished so that we can polish or paint them whatever colour you choose. If you are interested in this piece or would like more details please call us on +64 9 529 1660 or email info@js.co.nz quoting #99-86.